This home comes with a home warranty, ready to move in!! Beautifully maintained 3 bedroom, 2 bathroom home with no rear neighbors and a large lot in quiet Arbor Ridge. Exterior was completely repainted in 2017 with Sherwin Williams Super Paint. New A/C and hot water heater installed in 2017 as well as an 8-camera high definition surveillance system. Includes entire house water filtration system and wired security system. Spacious and open floor plan allows for a luxurious master retreat featuring spacious master bedroom, two large walk-in closets, and bathroom with dual sinks, garden tub, and separate shower stall. Kitchen showcases stainless steel appliances and overlooks a dinette nook and family room. New modern sink installed in 2017 as well as garbage disposal. Refrigerator stays as well as washer and dryer. Dining room next to living room is currently being used as extra living space. Additional perk is an office room with custom desk in the den. Attic in garage has grating system for extra storage space. Two car garage side entry. Faux wood blinds throughout house including garage. HOA includes community pool, park, playground, and trail around nature reserve. 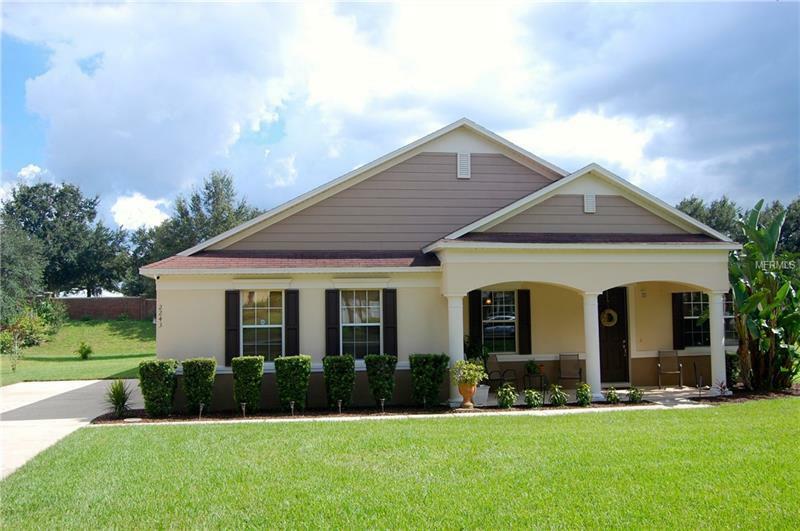 House is situated on a quiet street and beautiful area with easy access to highway 429/414/I-4/Turnpike. It is move in ready and a must see!.